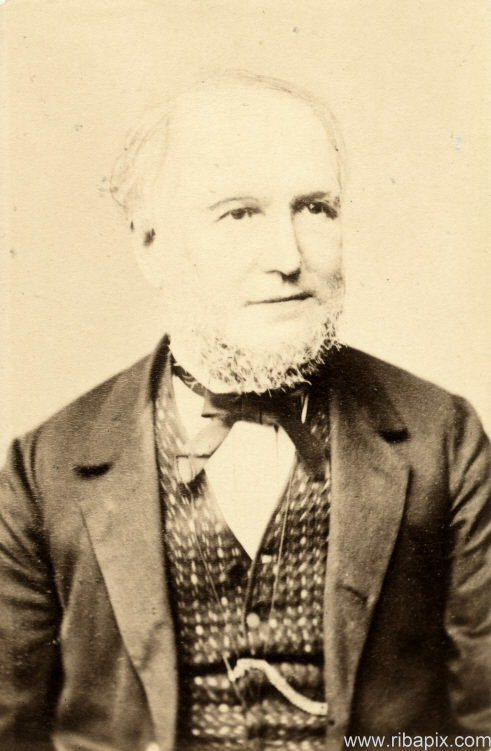 Arthur Acland was born in 1811, the second son of a baronet. In 1835 he married Fanny, daughter of banker Robert Williams (1767-1847), who donated the land upon which the hospital was built. Acland became the hospital’s first management committee chairman in 1841. It was in this capacity that he wrote the hospital’s first six annual reports. In 1847 he was ill for a prolonged period and stepped down from the chairmanship in 1848. Upon his departure he presented the hospital with a wooden chapel that had been affixed to his house in Dorchester. In 1852 Acland legally changed his surname to Troyte upon inheriting the estate of a distant relative and he died, aged 46, on 19 June 1857. 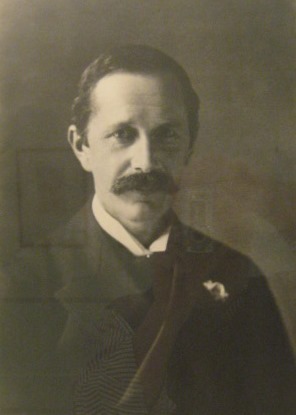 Captain John Edward Acland was the son of Arthur Acland and was born in 1848. In March 1896 he followed in his father’s footsteps and took over the chairmanship of the hospital. In 1888 he married Nora Letitia Nugent Bankes, granddaughter of George Bankes, whose bequest to the hospital in 1856 had enabled the Bankes Wing to be built. Captain Acland held the chairmanship until 1919, steering the hospital through the difficult First World War years. During his tenure he wrote the first history of the hospital, published in 1902. His wife became the first female member of the hospital’s management committee in 1920. He died in 1932. Adelaide Amelia Louise Theresa Caroline, daughter of George I, Duke of Saxe-Meiningen, was born on 13 August 1792 at Meiningen, Thuringia, Germany. She married Prince William, Duke of Clarence, on 11 July 1818 at Kew Palace, Surrey. In 1830, on the death of George IV, William acceded to the throne, and he and Adelaide were crowned on 8 September 1831 at Westminster Abbey. William IV died on 20 June 1837 at Windsor Castle. Adelaide, now dowager queen, survived him by twelve years. The couple had no surviving children. During her widowhood she briefly resided at Canford Hall near Wimborne. A beautiful piece of embroidery, in chenille, composed of a border of foliage and flowers, with a golden pheasant on the bough in the centre; a splendid silk reticule tastefully decorated with gold thread; … and a great number of needle cases, purses, autograph cards and a variety of other articles. In 1842 Queen Adelaide continued her support of the hospital with a donation of £50. 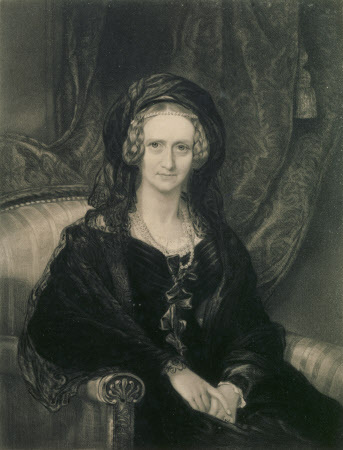 She died on 2 December 1849 at Bentley Priory in Middlesex. Benjamin Ferrey was born in 1810, the youngest son of another Benjamin Ferrey, a draper who became Mayor of Christchurch. Young Benjamin was educated at Wimborne Grammar School, and afterwards studied under Augustus Charles Pugin. In his early twenties Ferrey toured continental Europe. He started his own architectural practice in 1834, in Great Russell Street, Bloomsbury, London. Some of Ferrey’s earliest work was in the design of the new seaside resort of Bournemouth. His other Dorset commissions included All Saints’, High East Street, Dorchester (1843–45), the Town Hall in Dorchester (1847–48), and Holy Trinity, in High West Street (1875–76). Ferrey was honorary architect to the Diocese of Bath and Wells from 1841, responsible for much of the restoration work on Wells Cathedral. He was twice vice-president of the Royal Institute of British Architects and in 1870 was awarded a Royal Gold Medal. Ferrey was known to Robert Williams, the hospital benefactor, because in 1838 he designed a new stable block in the Gothic style for Williams’ estate at Bridehead in Littlebredy. Later he would extend the house and rebuild the village church and various cottages. Ferrey’s hospital building was a symmetrical E-shape, designed in sections so that it could be added to when sufficient money was raised. When completed, it looked like an Elizabethan stately home, what architectural historian Nikolaus Pevsner called “a Loseley in Portland stone”. With the building of the Bankes wing in the late 1850s, the last part of Ferrey’s E-shape was completed, nearly twenty years after the first foundations were laid, at a total cost of about £6,300. Ferrey continued his connection with the hospital. In 1862 a new chapel was added, again from his original designs. Over 35 years after the project first started, in 1877, he was still being consulted by the hospital, this time over the building of the north wing annexe. Ferrey died in 1880. A county magistrate and, later, High Sheriff of Dorset, John Floyer was a trustee of the hospital from 1839 until his death in 1887. In 1844 he married Georgina Charlotte Frances Bankes, daughter of George Bankes,whose bequest to the hospital in 1856 had enabled the Bankes Wing to be built. Floyer was the Member of Parliament for Dorset from 1846 to 1857 and again from 1864 to 1885. Born Florence Emily Dugdale on 12 January 1879 in Edmonton, Middlesex, she was the daughter of school headmaster Edward Dugdale. She first met poet and author Thomas Hardy in 1905 when she was 26. She gave up teaching in 1908 to assist Hardy and to begin her writing career. In 1912 Hardy’s wife Emma died, and Florence moved into his home, Max Gate, in 1913. In 1914 they married at St Andrew’s Church, Enfield, despite the 39 year age difference. On 20 July 1921, she accompanied Thomas Hardy when he officially opened a fete in Dorchester to raise funds for Dorset County Hospital. Thomas Hardy died in 1928, aged 87. Florence wrote two volumes of her husband’s biography, published in 1928 and 1930. 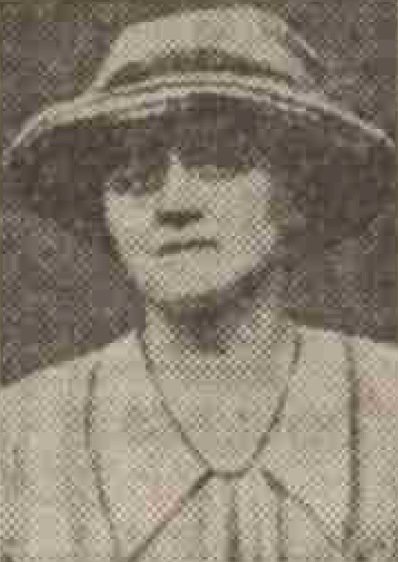 Florence died, aged 58, on 17 October 1937 at Max Gate. Her ashes were buried at Stinsford Church. In her will she left £800 for the construction of a children’s sun balcony at the hospital.